The users of Google TV will love Google a little more than usual today, as the company is rolling out the first over-the-air update since launch (I am assuming the OTA my Revue prompted me to download out of the box did not count). 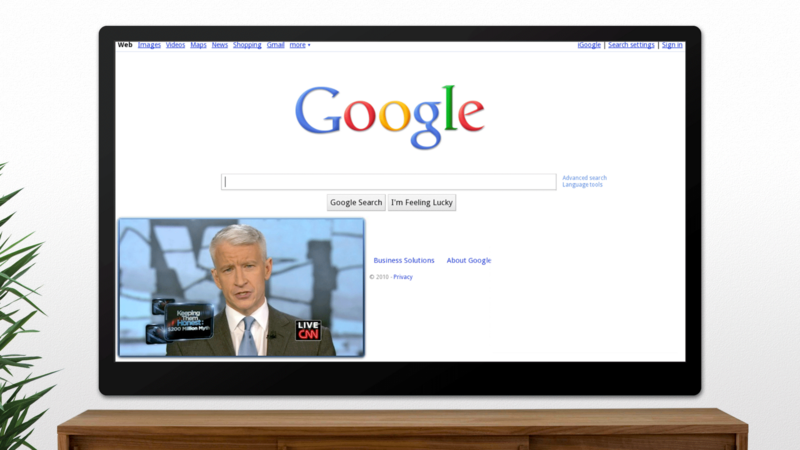 Refreshingly, there is no fragmentation present with Google TV (yet? ), so both the Logitech Revue and the 2 versions of Sony's GTV should be receiving the updates without delays throughout this week. Before I describe the updates, I just wanted to note that I received my Revue box last week, installed and configured it in about 20 minutes, with all steps being painless and kind of fun, without any problems I've heard some people having. It recognized and integrated all my TV and cable box controls into its amazingly light and just awesome all around Logitech keyboard, and I couldn't be happier with the whole experience so far. OK, I lied, unblocked access to full episodes on TV sites and the Google Market are still missing - when that stuff rolls in and I'm able to load Angry Birds after watching an episode of Breaking Bad, I'll be in heaven. But back to the news - there are a few new things present. 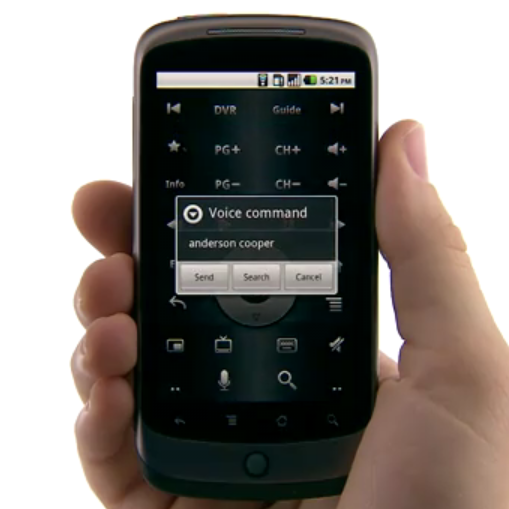 First and foremost, Google dropped the official Google TV Remote Android app in the Market, which lets us not only control all aspects of Google TV using our Android devices, but also use voice search to search for content. This is kind of confusing for the Logitech Revue users, myself included, who have been using the Logitech Harmony app to control Google TV. Are we supposed to use either one now or just switch to Google's? I'm not sure just yet. The Dual View feature, which is basically a fancy name for picture-in-picture, is getting a much needed update and now allows us to control both its size and position. I hope the next update will allow certain items, such as Settings menus, to either jump on top of the TV broadcast or dynamically change its position when I am interacting with them. The Netflix app is receiving an update as well, now allowing us to search, browse, and watch any show or movie Netflix offers for streaming, add them to the mail queue, and get personalized recommendations. I'm not a Netflix user, but I'm sure millions of Netflix users out there will appreciate the refresh. In addition to all of the above, the new OTA also adds support for a special movie results page which shows movies associated with the current title and allows to quickly figure out where they are available across all sources Google TV supports, along with summaries, photos, and cast information. I'm not sure what this page looks like exactly just yet, but if Google integrates IMDB and Rotten Tomatoes ratings next, I'll be very happy. There is still no word on when and if Google is going to be able to reach an agreement with the evil TV networks which are currently either blocking access to their free and otherwise accessible sites or exposing only short TV clips. I just hope it happens soon - otherwise, Google TV is going to die a quick, yet painful death.